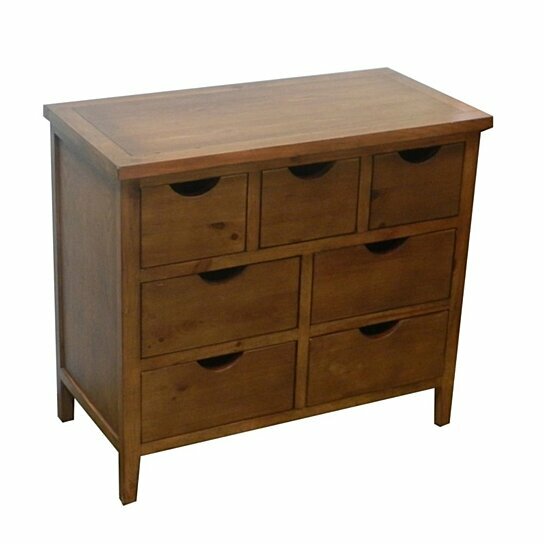 This cabinet is best to pick if you like wooden furniture. It will add a style element to your interior. In addition, it will go well with the existing furniture?s easily. The cabinet is crafted from quality wood in rectangular and has flattop. The good quality wood will keep in prime condition for years to come. Cabinet has seven drawers, four of same size and three are small but same size. Now it is easy to arrange your things with this elegant piece of utility.